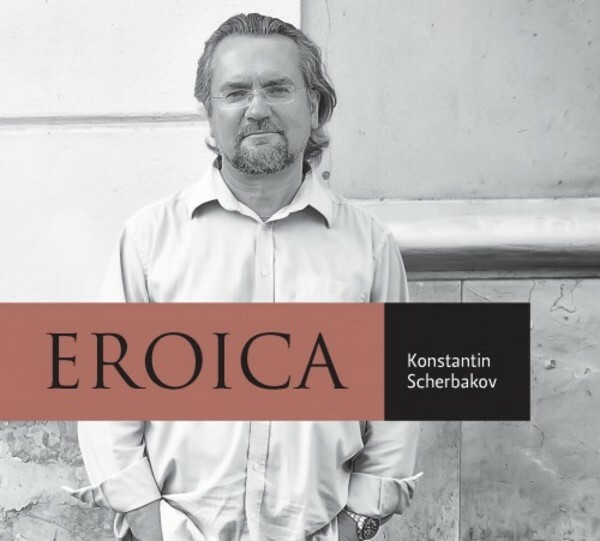 Described by The Independent as “a poised and dignified performer [with a] dazzling range of colour and technical finesse”, Konstantin Scherbakov is a veteran of some forty CD recordings. His output runs the gamut from Scarlatti to Shostakovich, Johann Strauss to Lyapunov, and Respighi to Medtner. Although he is renowned as a champion of lesser-known composers and works, thisCD release with South African independent label TwoPianists Records, entitled 'Eroica', represents the pianist’s return to the bedrock of the piano literature: the music of Ludwig van Beethoven. The monumental piano works of Beethoven present not only a supreme technical challenge to the virtuoso pianist, but also provide a platform for interpretative inventiveness and artistry of the highest calibre.